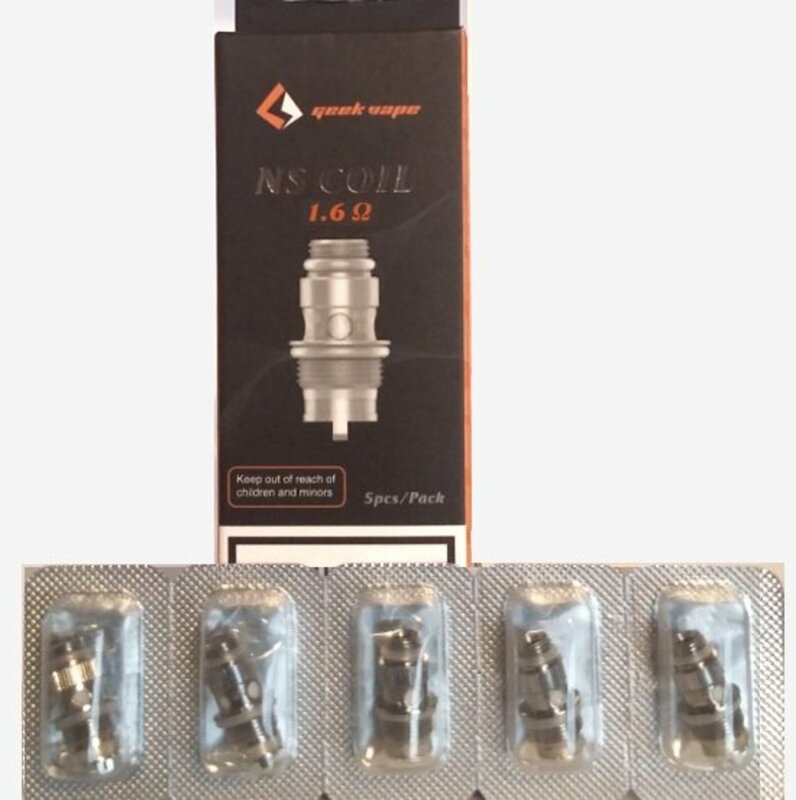 Geek Vape 1.6 Ohm NS Coils | Electronic Cigarette Co. 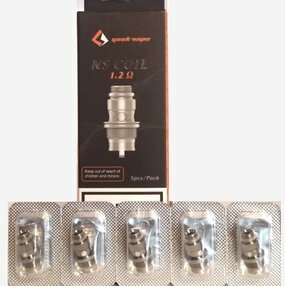 Pack of 5 genuine replacement Geek Vape NS organic cotton mouth-to-lung coils 1.6Ω Ohm. Compatible with the Geek Vape Flint tank. The box comes with a hologram and scratch sticker so you can check the authenticity of this product.